As wide-scale adoption by the market and consumers of ubiquitous devices or mobile apps that track fitness, sleep, nutrition, and basic metabolic parameters increases, it is vital to understand the attitudes of healthcare providers toward these devices. No researcher has previously examined how constructs related to technology acceptance have impacted healthcare providers' behavioral intention for self-monitoring devices (SMD). This was a quantitative, non-experimental study to examine SMD acceptance, intent to use, and other factors important to physicians regarding SMD. Statistical analysis of the data gathered showed that the second version of the Unified Theory of Acceptance and Usage of Technology (UTAUT2) constructs of performance expectancy, hedonic motivation, and price value were positively associated with the behavioral intention of SMD by physicians while effort expectancy and social influence were not. Furthermore, social influence was associated with use, while performance expectancy, effort expectancy, and hedonistic motivation were not. 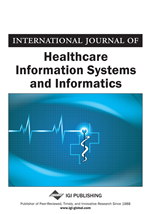 Major positive implications of these findings include: contribution to the body of literature in the health information technology (HIT) arena regarding factors that influence technology acceptance and potential increase in the adoption of SMD among healthcare providers. The research literature on technology acceptance indicates that data from technology will be used by healthcare providers if it is beneficial, but it is not known whether the performance expectancy, effort expectancy, social influence, facilitating conditions, and moderating variables (gender, age, and experience) impact behavioral intention and, ultimately, provider use behavior regarding SMDs. Consumers can present information to healthcare providers who, in turn, may be able to use it to develop, diagnose, and treat the patient. The study problem the researcher intended to address is the extent to which healthcare providers’ use of SMD information may be influenced by their concerns about health information technology (HIT). The purpose of the study was to understand behavioral intention and use behavior of physicians when it comes to consumer healthcare devices.